How has God spoken to you recently? We'd love to hear your story whether it is about our music or not. Send us an email at: quartet@chancellorsquartet.com. With the recent announcement of Mike planning to retire in the coming year , The Chancellors Quartet is beginning their search for their next Bass vocalist. 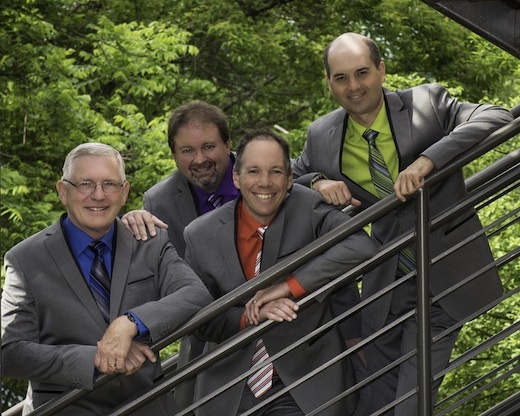 Have you ever sensed a desire to sing in a Southern Gospel Quartet, with a strong desire for ministry? If so, you might be exactly who we are looking for. For more information on our ministry, and/or to apply for the Bass position please contact us or call give us a call at (612) 961-5992. The Chancellors have seen over 35 group members come and go in different positions within the group over the groups 48 year history. We thank Him for His faithfulness, and look forward to continuing the legacy for many more years to come. Please continue to pray for The Chancellors as they move forward in the coming year, and for a quick and smooth transition in finding a new bass singer.